Robots - Robots - Robots! 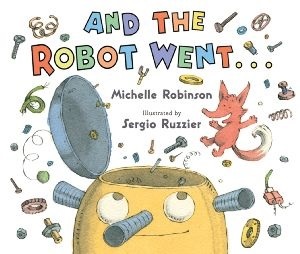 I love robot books - and here are three that have different takes on the imagineering world of robots. The Nosy Fox looked in the box, and the Robot went ... Boooo. But when Eager Beaver drops by and pulls the lever, the Robot goes Bang! And when Wicked Witch drops by, the Robot adds another sound. 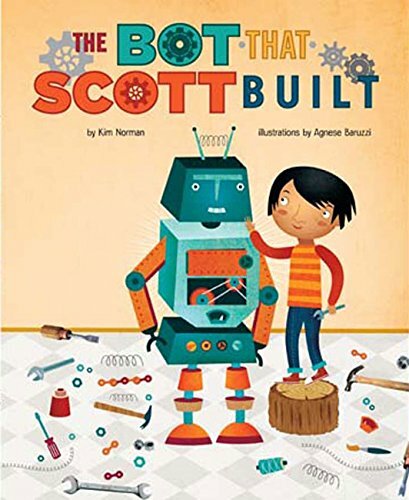 It's Science Day, and Scott takes his robot to school.Told in cumulative house-that-jack-built style, this story builds as disaster after disaster happen - starting with the ants that get loose. What I like about this book: Science Day is fun-filled, action-packed with never a dull moment. Those ants that get loose - don't worry, because someone has brought carnivorous plants. But when the frog gets hopping and the snake slithers loose, Scott knows he needs a hero - so he turns on the robot. I also like the end-papers because they inspire the imagination: what kind of robot could you build using these tools and materials? 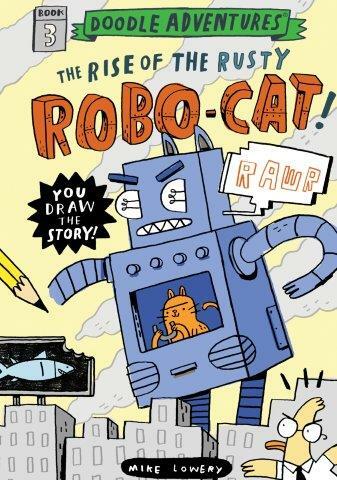 Calling all junior agents, curious readers, artists, cat-lovers, and robot fans! This doodle-adventure is a joint mission between you (the reader) and the author. Bring a pencil become you'll need to add some doodley illustrations to this not-quite-finished graphic novel. Or is it a sketchbook? What I like about this book: it's a mission! And you have a say in how it looks by drawing your own illustrations. Grab some colored pencils to spice up the cartoons that are already there... and solve the mystery. Make a list of Robot Sounds. Cling, ding, klunk - how many can you think of? If you need some audio inspiration, click here. For a list of metalic-sounding words, check out this site. Make a Robot out of cereal boxes and other things from the kitchen recycling bin. For ideas, check out this site. Draw a cartoon about a robot and an animal - perhaps your pet cat, dog, goldfish, gecko, snake, or hissing cockroach. Do they help old ladies walk across the street? Save the world from disaster? Wreak havok? Here are some ideas for drawing cartoon robots. Make a Robot Suit: All you need is a large paper grocery bag, a box for a helmet, some buttons, bottle caps, and stuff to glue on, scissors, crayons and markers, duct tape (of course) and maybe some foil. Get ideas for a paper bag vest here, and robot helmet here. Today is PPBF (perfect picture book Friday), an event in which bloggers share great picture books at Susanna Leonard Hill's site. She keeps an ever-growing list of Perfect Picture Books. Review copies provided by publishers. Ma Badger suggests they read a book. Build a fort. Go fishing. Then, fatefully... "would you like to help me hang the laundry?" 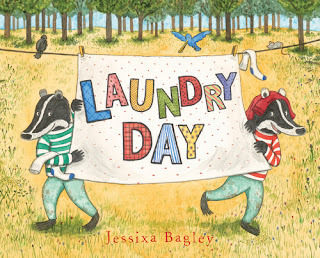 If only she had known what happens when two bored badgers get hold of the clothespins. What I like about this book: It's fun to read. And the kids do a good job of hanging the laundry. Then they wonder what else needs hanging. What about winter clothes? Blankets? A map? Things get out of hand in a hurry, and when Ma Badger sees what's been going on, she decides to take back control. Review copy provided by publisher. My day begins with the sun ... in my face. Flora loves to draw maps. They help her keep track of her day, not to mention document facts about her live. Such as her room is four steps closer to the bathroom than her brother's. 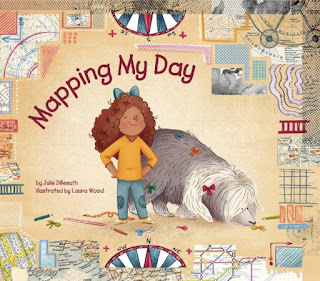 She draws treasure maps, travel routes, house layout, even a map for her dog's obstacle course. What I like about this book: I like maps - and it's fun to see a kid using maps as a tool for understanding her world. I like that there's back matter: a note to adults on how maps can help kids figure out their world, and some mapping activities. Review copy from Blue Slip Media. Laundry lines are for more than hanging clothes. Photographers used to hang their photos to dry. Some people hang treats for birds from a line, and others use the laundry lines to support blankets for a fort. What sort of things do you use laundry lines for? Map your world. Draw a map of your house, or your school, or a neighborhood park, or the route you take when you walk to the post office. What are the important landmarks that you need in your map? Compare maps. Find some road maps, topographic maps, old maps out of National Geographic magazines, and other kinds of maps. Open up a couple and spread them on the floor, and then compare them. How do they show the landscape? 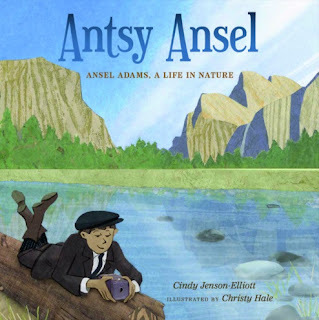 Today is PPBF (perfect picture book Friday), an event in which bloggers share great picture books at Susanna Leonard Hill's site. She keeps an ever-growing list of Perfect Picture Books. 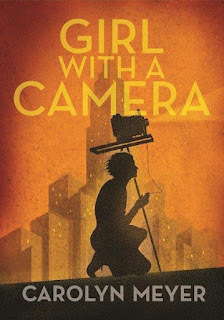 Two books about photographers, contemporaries of each other. One captured light and rocks and trees, the other focused her sights on factories, buildings, and people. One grew up in the west, the other in the east. Ansel was antsy. He never walked - he ran. He loved being outside - exploring the beach, feeling the wind and salt spray. He didn't fare well trapped in the classroom, but thrived when his father decided to have him learn at home. When Ansel was 14, he visited Yosemite Valley and fell in love with the light. His parents gave him a camera, and the rest is history. He traveled far and wide taking photos of national parks, and his photos were featured in Life magazine and galleries. What I like about this book: It is fun to read. 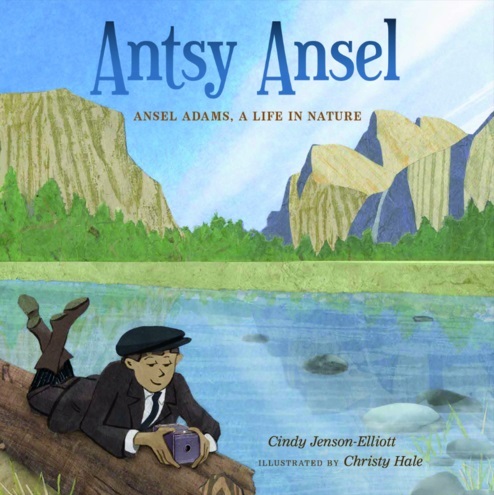 Author Cindy Jenson-Elliot delves into her collection of action words to show this young man who couldn't sit still. Run-leap-scramble... off he goes with his camera! I also like the back matter, where she tells more about this iconic photographer. Ansel Adams spent a lot of time studying his subject matter, waiting for the right light to capture it. Margaret Bourke-White was born in 1904 - two years after Ansel Adams - in New Jersey. She wasn't popular, and felt unsure of herself, yet knew she would do something great. She spent her youth exploring the outdoors, collecting snakes and bugs, and thought she might become a herpetologist (someone who studies reptiles and amphibians). Then she discovered photography. And the beauty within buildings, from factories to sky scrapers. She knew she wanted to make her living shooting photos. This fictionalized account of her life draws on Margaret's own writings, as well as archival material and yearbooks. 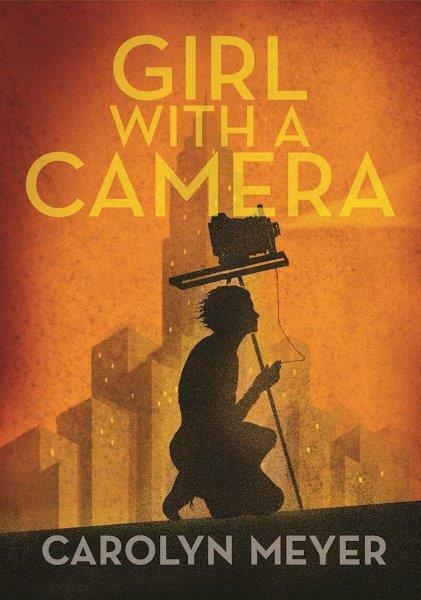 It reads like an adventure, as we read about Margaret's adventures as a photo-journalist for Life magazine: trips to Russia, capturing factories and farms, and a nearly-didn't-make-it trip to the arctic. Author Carolyn Meyer had done a ton of research, and it shows. Both Ansel Adams and Margaret Bourke-White documented World War II. Ansel took photos of ordinary life in the Manzanar War Relocation Center (Japanese internment camp) in California. Margaret was the first female war correspondent and photographed German forces invading Moscow. At the end of the war she photographed the liberation of the concentration camp at Buchenwald. Take a camera on a walk with you and take pictures of buildings or trees or rocks or people... whatever interests you. Try taking photos in different light - different times of day - and from different angles. Explore this gallery of Ansel Adams photos. Explore this gallery of Margaret Bourke-White photos. 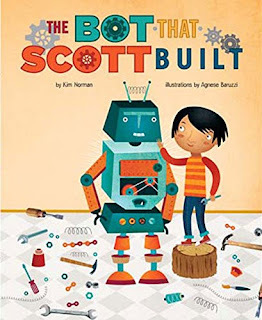 Today is PPBF (perfect picture book Friday), an event in which bloggers share great picture books at Susanna Leonard Hill's site. She keeps an ever-growing list of Perfect Picture Books. On Monday we'll be hanging out on Marvelous Middle Grade Monday with other bloggers over at Shannon Messenger's blog. Hop over to see what other people are reading. Review copies provided by publishers. This is Lee. He is a pea. All of his friends are peas. Lee and his buddies are as alike as... peas in a pod. Colin, though, he's tall. And orange. And definitely not round. He can't do the same things peas can do, like roll. So how can he join them in their games? 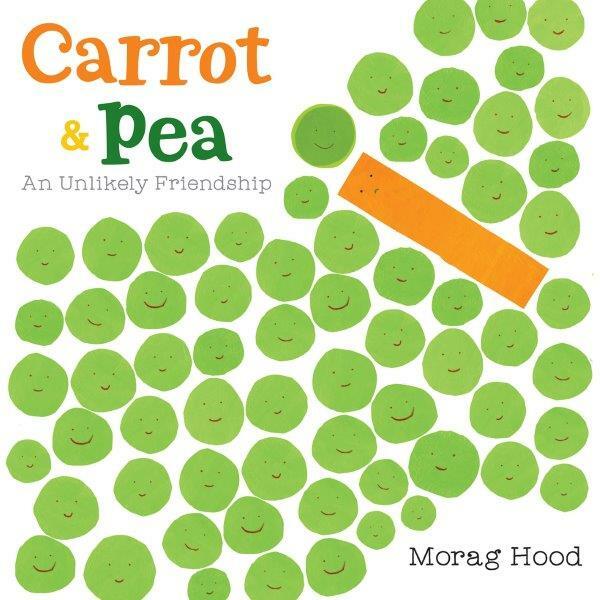 What I like about this book: Colin has his own, excellent traits that make him fun to play with - if you're a pea. I like that the end papers don't match, and bright, spare illustrations. 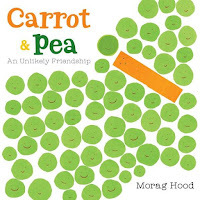 Spend some time with this book and you'll start thinking about ways to involve carrots - or those "different kids" - in your play. Rusty and Rojo toiled and tilled in their vegetable garden all summer long. And at long last, the time is ripe for them to make their prizewinning Rabbit Stew! What I like about this book: I love the illustration of them harvesting green beans, purple kale, and crunchy orange carrots for their "splendid" Rabbit Stew. 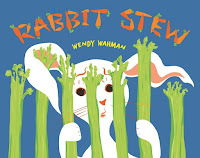 They harvest a few things that one would not expect in a stew... however, it will be marvelous, they assure readers. Meanwhile, a white rabbit is hiding in the garden. I don't want to spoil the ending, but will say that no rabbits are harmed in the making of this story. Have you ever eaten a rainbow? Try finding fruits and vegetables of all different colors for a salad. Maybe red lettuce, yellow tomatoes, orange peppers, green beans, purple carrots? Rusty and Rojo have a pet rabbit named "Stew". If you have pets, what names have you given them - yes, you can include the stuffed animals inhabiting your room.